Broadland Boat Train at Bure Valley Railway01263 733858work Steam RailwayEnjoy the best of both worlds with a combined train and broads cruise ticket. 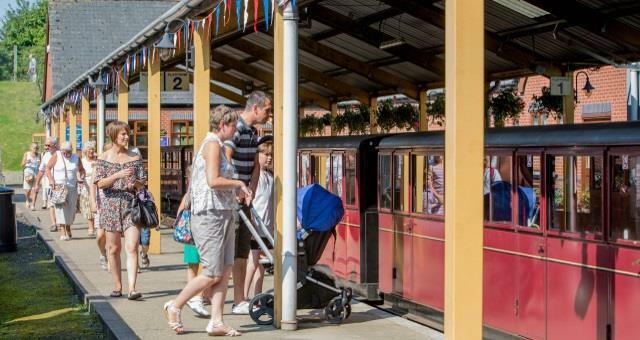 Journey by steam train through picturesque Norfolk countryside to Wroxham where a 15 minute walk from the Station will bring you to Wroxham Bridge, the starting point for your cruise on the beautiful Norfolk Broads. The tour boats are comfortable and well equipped. You and your fellow passengers will enjoy a commentary on your outward journey and allowed to take in the beauty of The Norfolk Broads National Park as you return to Wroxham Bridge. Then you return to the station for your return journey by steam to Aylsham and the conclusion of a memorable day. Enjoy the best of both worlds with a combined train and broads cruise ticket. The Broadland Boat Train operates between April and October. Pre-booking is advisable. 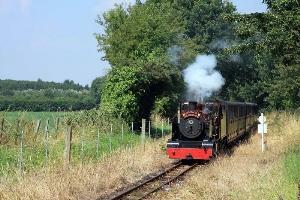 The Broadland Boat Train operates between April and October at certain times of the day. Pre-booking is advisable.